Plenty Of Snow And Fun To Be Had!! 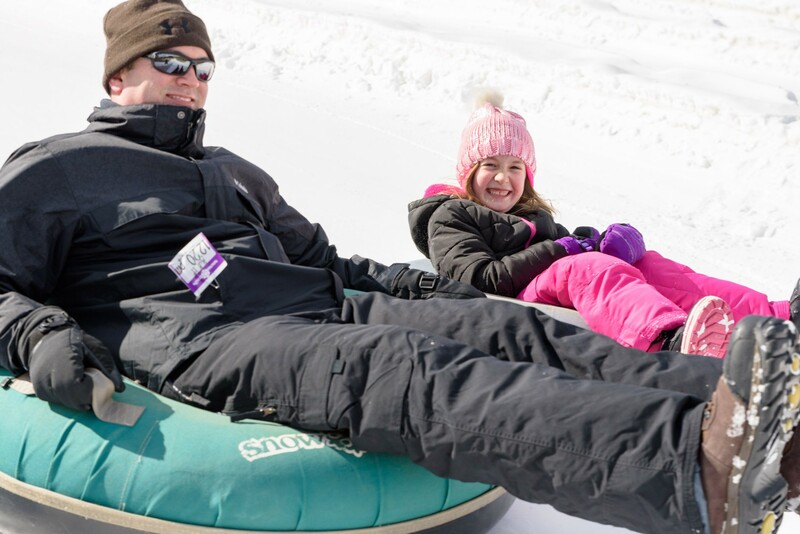 Snow Tubing is fun for all ages, with no experience necessary! Enjoy your conveyor Carpet Lift ride! No dreaded uphill walk like sled-riding. This Is An All Together Thing! Literally, Join Your Family And Friends For Snow Tubing Fun!! Snow Tubing is incredible outdoor winter fun for all ages. You’ll find snow in Vertical Descent Tubing Park at Snow Trails, December through March, thanks to our massive snowmaking system. Enjoy this family fun activity with "No Experience Necessary!" And, its close to home. Lasting Memories won’t take you long to make here. We’ll Provide the Snow. You Supply the Laughs. It might not seem possible, with no snow in your backyard at times, but we take advantage of cold overnight temperatures to pile on the snow with our massive snowmaking system, to keep the laughs going all winter long! A super fun activity without the need for skill or balance. Simply relax into your snow tube, then hang-on to your tube handles or link-up to someone next to you and let gravity do its thing! 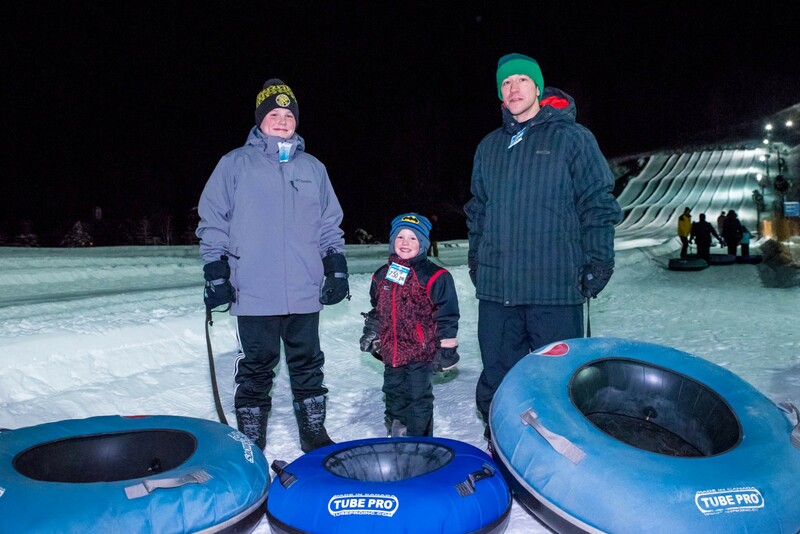 Snow Tubing is a great activity for all ages! From Grandparents to Grandkids and all in-between! Link your snow tubes together and laugh your way down the groomed lanes of snow at Vertical Descent Tubing Park! Not far. Just Away… From It All. You'll find Snow Trails is only a short drive from Cleveland or Columbus, located just 1.5 miles off I-71 near Mansfield. Serenely nestled in the Possum Run Valley - one of the coldest in Ohio. You're Going to Love This!! All the fun without all the work of trekking back uphill. Step onto the moving conveyor carpet lift and ride your way back to the top. Excitement builds as you watch other tubers laughing, screaming, and sliding-by. Your turn is coming!! 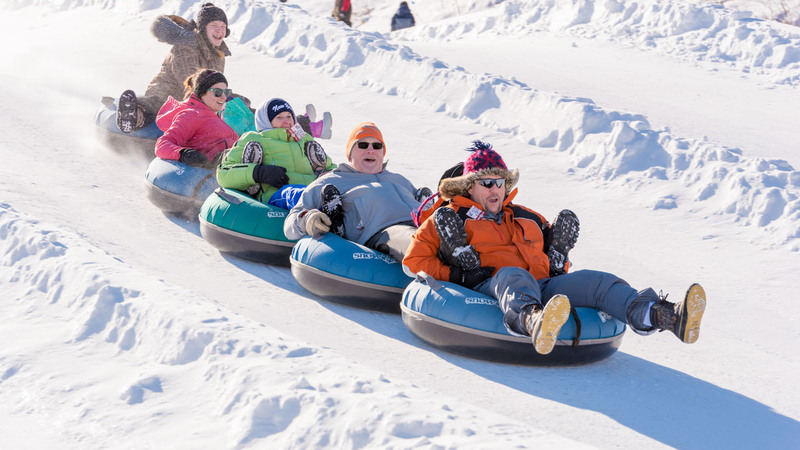 You'll find just the right size snow tube for you and the little ones in your group. We provide all the tubes you need. Select from stable hard plastic bottom tubes in kiddie or adult sizes, plus soft bottom double tubes for reduced speeds and great for taking your youngster with you. You will each receive your own tube and have the option to link tubes together for even more fun. 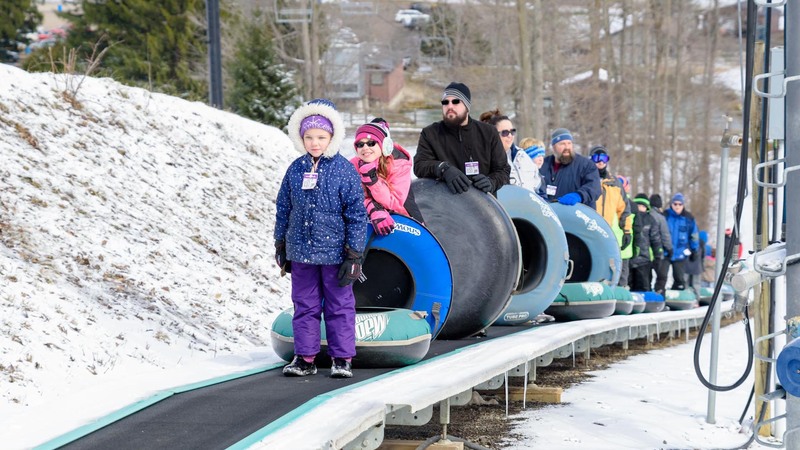 With parking adjacent to the Tubing Park, you'll find the Snow Tubing Ticket Window easily accessible, next to the Vertical Descent Tubing Park Lodge, complete with snack bar, restrooms, and seating area with panoramic views of snow tubers sliding-by. Round-out your experience by enjoying your hot chocolate sitting fireside in our spacious outdoor patio area. Longer Ride-Time = More Fun! 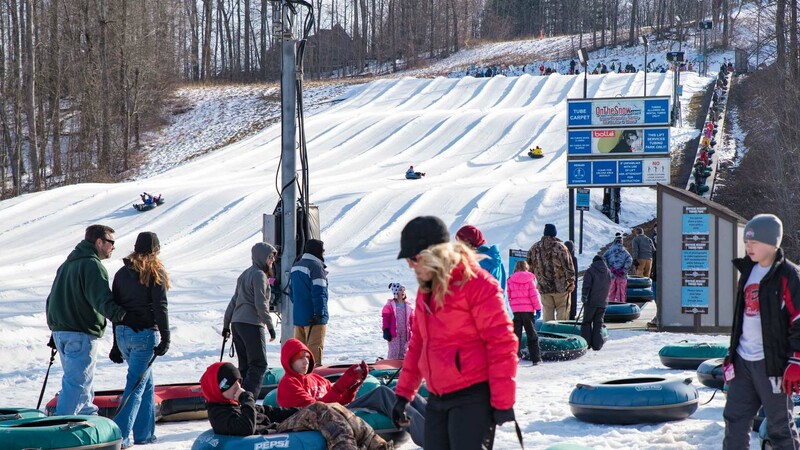 The Tubing Park can be exclusively yours to host a family reunion, birthday party, corporate outing, team building, or something else you might dream-up.